If you were a member of the cultural intelligentsia in Soviet society, the last person you wanted to hear from was Joseph Stalin. In 1930, Mikhail Bulgakov received a surprising phone call from the feared Communist Party General Secretary. Depressed and penniless after the banning of his novels and plays, Bulgakov had written to the Soviet government asking that they sanction his work or allow him to emigrate. Stalin was an unlikely fan of Bulgakov's play The Days of the Turbins(adapted from his 1924 novel The White Guard), which he saw 15 times. He suggested Bulgakov apply for a position at the Moscow Arts Theatre and saw to it that he was made Assistant Director. It was a rare gesture of support during a career stymied by government censorship. Bulgakov's most famous work - the satirical, magic realist novel The Master and Margarita- wasn't published until 26 years after his death. A traditionalist and elitist, vehemently opposed to Communism, Bulgakov's views permeated his writing. In his scathing 1925 story The Heart of a Dog, a Moscow professor transplants a human pituitary gland into a street dog, transforming it into a crass Bolshevik: a thinly disguised allegory about the attempt to create "a new Soviet man". Bulgakov was born in Kiev in 1891 into a modestly prosperous, bourgeois family. His father was a professor of theology and instilled in him a love of the arts and an interest in spiritual matters. Bulgakov studied medicine and worked as a doctor on the frontline during World War I (where he developed a brief morphine addiction) and then in provincial villages, before returning with to Kiev in 1918 with the first of his three wives. His experiences in Kiev during the Civil War formed the basis of The White Guard, with his own family the inspiration for the Tsarist-sympathising Turbins. Bulgakov's brothers joined the anti-Bolshevik White Guard and later fled to Paris. Never granted a passport, Bulgakov didn't see them again. In 1921, he moved to Moscow and began writing for a living. His plays proved popular but drew a hostile response from the press as too anti-Soviet, leading to their banning. 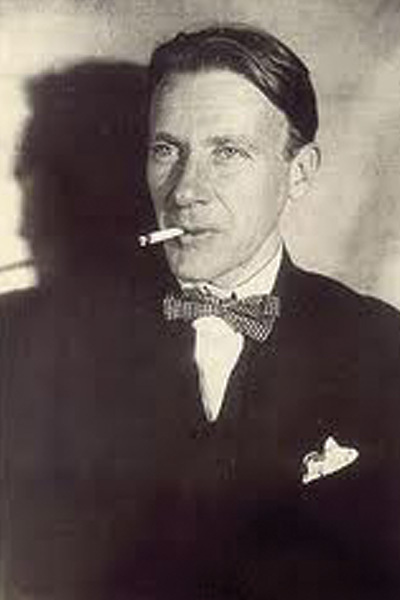 During the 1930s, Bulgakov worked on The Master and Margarita. Investigated by the secret police, he burned the manuscript and had to rewrite it from memory. In 1939, hoping to regain favour, he wrote a play in honour of Stalin's 60th Jubilee called Batum, portraying Stalin's early years as an activist. Rehearsals were about to begin when Bulgakov received word the play was banned. Already in declining health, it was a bitter blow. He died the following year from a hereditary liver disease. The White Guard, Sydney Theatre, 7 June - 10 July, 2012.